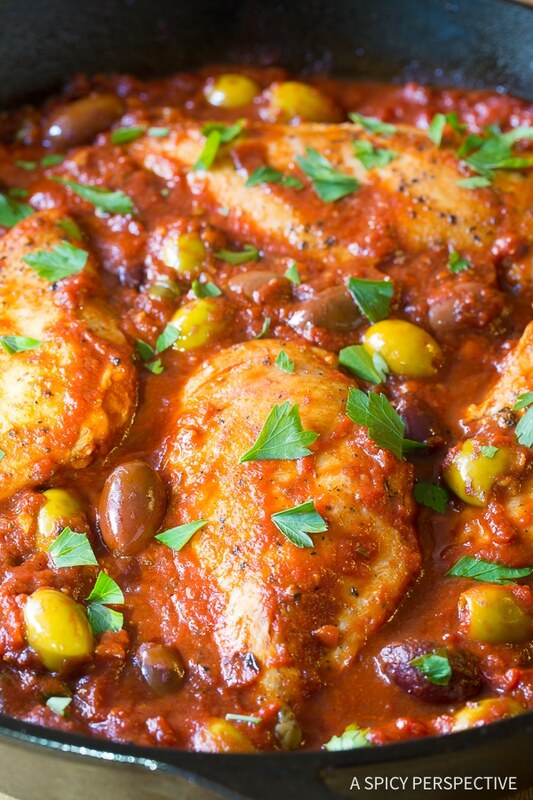 Our Low Carb Skillet Chicken Puttanesca, is a zesty main dish you can feel good about serving your family! My daughter Ava loves bold hearty dishes with lots of herbs and spice. Chili is high on her dinner request list, along with spicy fried rice, and heavily seasoned Italian dishes. 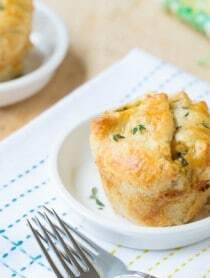 No bland sissy recipes for Ava! 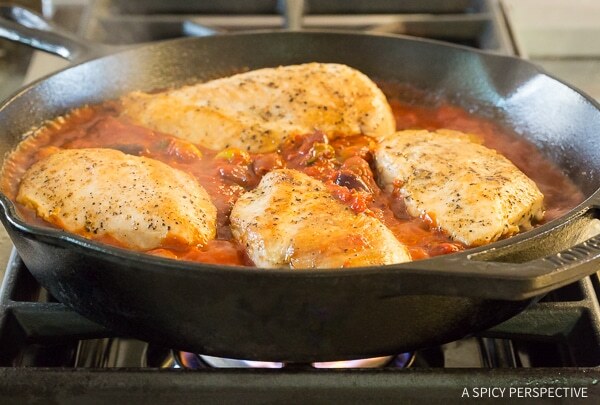 When I made her this simple chicken puttanesca skillet last month she was absolutely crazy over it. 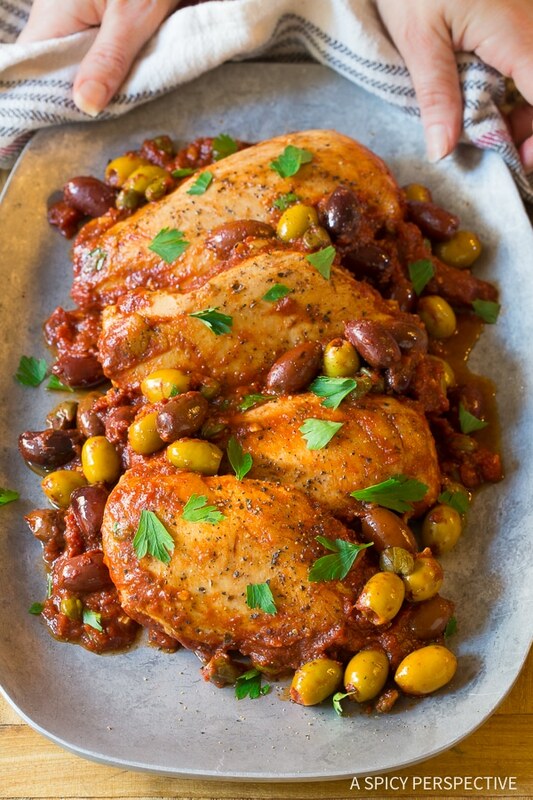 After all, it’s just seared chicken drenched in a thick tomato sauce with plenty of herbs, olives and capers. The combination of tomato, herbs, spicy crushed red pepper, and all that strong briny goodness not only works well with noodles, like in the traditional dish “Pasta Puttanesca,” it is fantastic to serve with chicken, fish, pork or beef, for a low carb dinner. Today’s Low Carb Skillet Chicken Puttanesca is marvelous on its own, or served with raw zucchini noodles. You can also pair it with a side of roasted broccoli to keep the carbs on the down low. The entire dish is made in one pan for easy clean-up, and finished in less than 25 minutes. Season the chicken and sear both sides in a hot skillet. Next add the garlic and anchovies to the skillet. 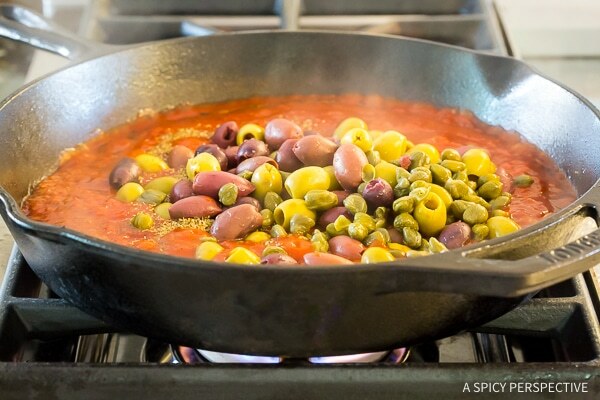 Sauté them together, then add tomatoes, parsley, oregano, and crushed red pepper, a mix of olives, and capers. Simmer the sauce to let the flavors mingle. 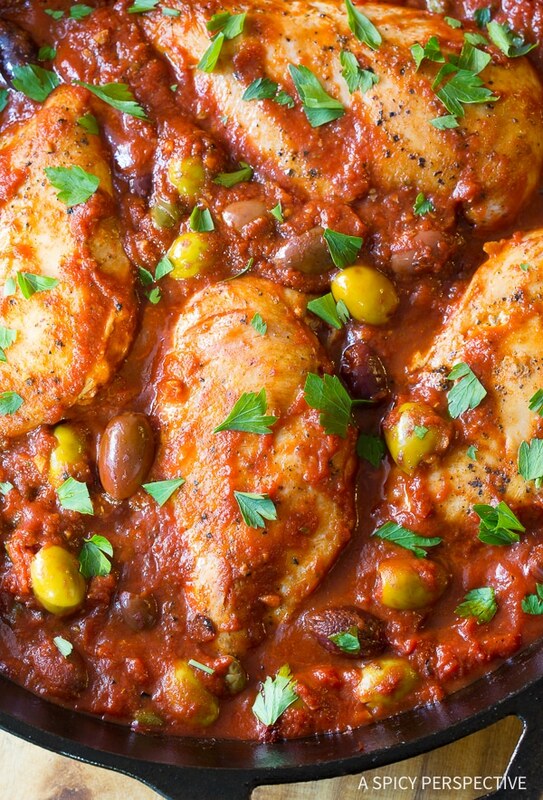 Place the chicken back into the sauce, and your Skillet Chicken Puttanesca is complete… Finito! Who knew healthy cooking could be so easy? 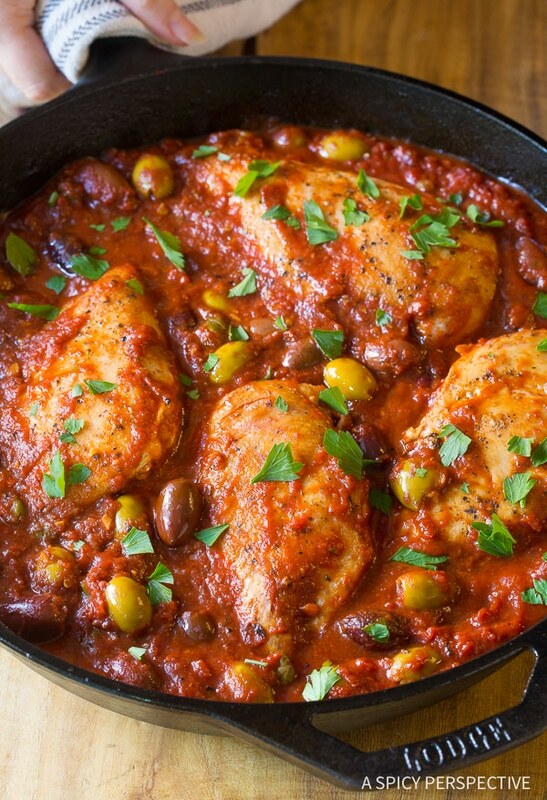 Skillet Chicken Puttanesca Recipe - A simple rustic Italian meal with briny olives and tomatoes. 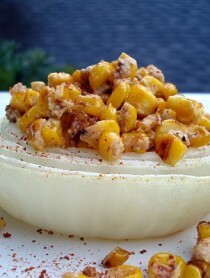 This low carb recipe is easy bright and zesty! Set a large sauté pan over medium-high heat. Season the chicken on both sides with salt and pepper. Add the oil to the pan and cook the chicken breasts for 4-5 minutes per side. Remove the chicken from skillet and set aside. Next add the garlic and anchovies to the skillet. Sauté for 2 minutes, then pour in the tomatoes, parsley, oregano, and crushed red pepper. Stir well, and add in the olives and capers. Simmer 8-10 minutes. Place the chicken back into the sauce. Simmer the chicken for 3-4 minutes to heat through. Serve warm as a low carb meal, or serve with pasta. 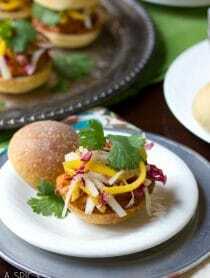 Such a healthy, colourful and easy recipe to try out, gorgeous pictures love it! I just want to make a general comment because I don’t get to comment until I have saved your recipe and tried it! Let me just say, your recipes are almost always exceptional! Thank you from Nova Scotia.